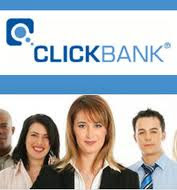 ClickBank is an affiliate marketing website that gives anyone the ultimate chance to be making money online by promoting digital products or services. Each time anyone clicks on any of your affiliate links otherwise called hoplinks and purchases a product or service,you earn a commission say 50%,70% or 75% of the product price and imagine me making over $40 on each sale of pipjet robot at www.pipjetrobot.com which got paid into my clickbank account immediately. Digital products are products that doesn’t need to be shipped down to the buyer which might be ebooks,videos,membership and lots more which buyers will have access to immediately they make payment either by using acceptable credit or debit cards or any verified PayPal account. For this reason,sellers otherwise known as vendors,buyers are otherwise known as consumers while promoters are otherwise known to as affiliates. Note that only vendors and affiliates make money from this site while the consumers are the investors of cash using what they have to get what they need which they will have access to whatever they make payment for instantly. You can either be either of these three people but for the main purpose of this writeup,I will be focusing only on making money as an affiliate and even as a consumer of products. If your country is listed among supported countries,just click here now to signup as it is free of charge but if your country is not listed,click here to read the step by step guide on how to signup for CLICKBANK legally by yourself. But if you need my attention and assistance in making sure that you have your own account,kindly CLICK HERE now. Buyers need no registration but you can click here to read part 1 and part 2 HERE now to take a look on how anyone can become a clickbank vendor. i.Register as a new member on the site as I’ve illustrated above. ii.Click the “Marketplace” link at the top of the page. This brings you to a new page showing the products available on ClickBank. Click one of the categories on the left side of the page or type a keyword in the “Find Products” field at the top of the page to search for products. iii.Click the green “Promote” button after locating a product you want to promote which then displays a new window.What you now need to do is to confirm that the username displayed next to “Account Nickname” is the same username that you used to log in or signup to ClickBank and the next step of action is to click on the “Create” button. iv.This is the last step of which you will finally get your link. Just move your mouse arrow to the blue text under “Copy the following HopLink HTML code.” and that will highlight the link which is your clicbank affiliate link or let me called it hoplink using normal term.Press “Ctrl+C” to copy the link preferably to your notepad. Note:You must be very careful with this link as any commission of any letter or number will make you to loose commissions and I really advise you to use shortening services such as bit.ly,tinyurl.com and so on to make your long link shorter or better forward it to a domain before you start promoting it. You can either promote your link(s) through your blog,website,facebook,twitter and by other means but the best ways I know that work perfectly are making use of ARTICLE MARKETING and EMAIL MARKETING which help you to make money online without any hitch of going against online rules. Watchout for my next update on How To Easily Make Money as CLICKBANK buyer/customer as I’ve only treated Discover How To Easily Make Money as CLICKBANK Promoter/Affiliate in this write-up. Hope you’ve enjoyed this eye-opening post and as well beneficial to you.If that is the case,why not use the facebook,twitter and email buttons below to share this wonderful article to your friends,families and all your loved ones profiles and emails. You will be so much appreciated. See YOU next time and do not forget to SUBSCRIBE to this website by submitting and confirming your best email address into the form below so that you’ll be receiving such of this updates as we post them directly into YOUR email. What Will Happen To My Long Time CLICKBANK Commissions?